Tired of staring at the same old keyboard all day long? Dreaming of a refresh? Don’t press F5 — join us for a day of fun competition, design inspiration, and networking at this unique design challenge event. Designers from all over California will compete July 21st, noon to 7pm to create new designs for keyboard interfaces. It’s all on the table: keys, buttons, fonts, animations, backgrounds, and more. Over $12K in prizes will be awarded, in various categories. 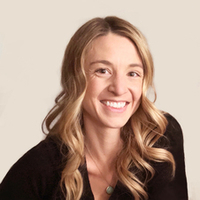 Katrina Talley, Director of Design at Toptal, will be part of the judging panel. Whether you’re entering a design or just looking to do some networking, come out to say hi. It’s a great opportunity to meet Katrina, or to invite your contacts who might be interested in learning more about Toptal.